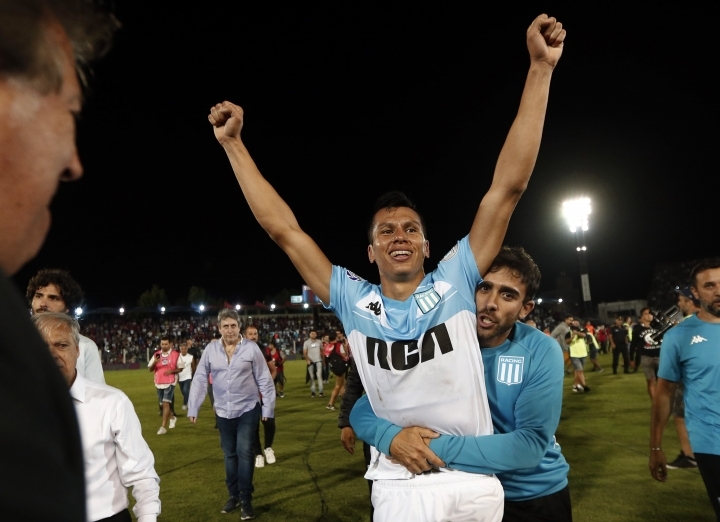 BUENOS AIRES, Argentina — Racing Club has won its ninth Argentinian league trophy after a 1-1 draw against Tigre. It was the team's second title in the tournament in five years. The traditional blue and white team lifted the league title with one game in hand after second place Defensa y Justicia also drew 1-1 with Union de Santa Fe. Sunday's results kept the distance between the two leaders in four points. Racing opened the score at the Jose Dellagiovana stadium with Augusto Solari at 57 minutes. Tigre levelled in the dying seconds of the match with a free kick by Lucas Rodriguez. Racing's campaign added 17 wins, five draws and only two defeats in 24 matches. The champions will face second place Defensa y Justicia in the last round of the tournament. Racing's main player in the tournament was striker "Licha" Lopez, Argentina's league top goal scorer with 17 goals.